I recently traveled to Casablanca, Morocco, with our Africa Region Head, Cathy Scheepers. Together, we paid a visit to the Hôpital du 20 Août. The physicians there are among The Max Foundation’s longest standing implementing partners. 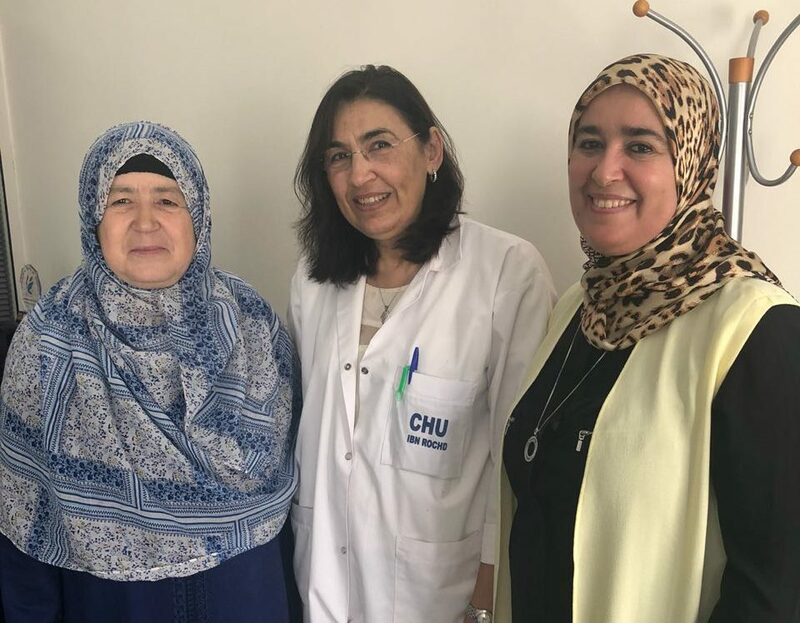 Over the years, we’ve worked with them to provide more than 300 people with critical access to cancer treatment in Morocco. During our visit, Cathy and I were privileged to spend time with a doctor and a patient who exemplify what our model and our mission are all about: helping all people face cancer with dignity and hope. 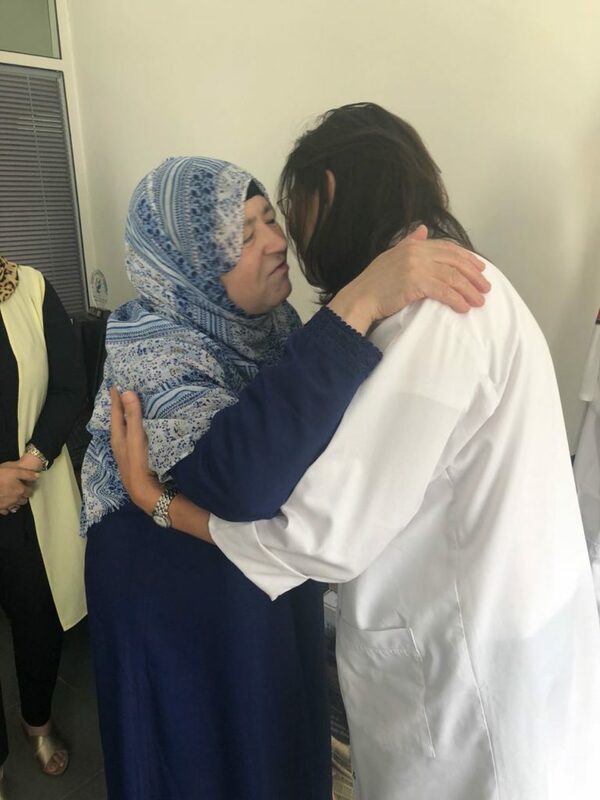 When we first arrived at Hôpital du 20 Août, we were warmly welcomed by Dr. Asmaa Quessar, Head of the Hematology Department. Dr. Quessar led us on a tour of the clinic, stopping every ten feet or so to greet and talk with patients. While we couldn’t follow their exchanges in Arabic, it was clear that she had a special rapport with them. Their love and respect for her was just as plain to see. A meeting later that day with a sweet woman named Naima only reinforced our impressions of Dr. Quessar. Naima is a patient of Dr. Quessar’s. She had been enrolled in the Novartis Glivec access program all the way back in 2003. In fact, she was the first patient approved for the program in all Morocco, but things hadn’t started out so well. Naima had been diagnosed three years earlier in 2000, at the young age of 44. Though she had access to care, the treatments available at the time couldn’t keep her disease at bay. Glivec was not yet available, so Naima’s cancer progressed and she began losing weight and losing hair. More than 15 years have passed since then, and Dr. Quessar has continued to support Naima every step of the way. Thankfully, Naima had a strong advocate in Dr. Quessar. The moment the Glivec access program began, she signed Naima up for treatment. More than 15 years have passed since then, and Dr. Quessar has continued to support Naima every step of the way. Naima still visits Dr. Quessar every three months to get a check-up and refill her medication. Their commitment to one another and to the course of treatment has allowed Naima to live beyond her cancer and maintain a good quality of life: good enough, as Naima will tell you, to watch her seven children grow and welcome too many grandchildren to count. Taken together, Dr. Quessar and Naima are a shining example of how a treatment access program, a dedicated physician, and a determined patient can not only extend their life, but continue living it with dignity and with hope. Meg Mager is a Senior Program Manager with The Max Foundation. In this role, she works with pharmaceutical companies and international distributors to increase access to cancer treatment for patients in low- and middle-income countries.